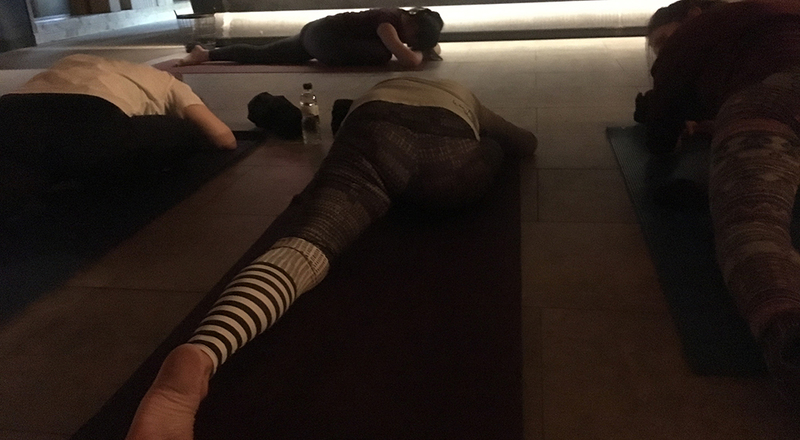 After an intense day skiing on the slopes of Vallnord, we thought, what better way to stretch our muscles than a yoga session? That’s why we did not hesitate a second and decided to join the classes that Vallnord organizes two Wednesdays a month. The meeting point is the Coll de la Botella restaurant in the Pal area that has been remodelled in the last few years, transforming into a modern and spacious location perfect for carrying out this activity. On the terrace, the landscape was spectacular, thousands of stars and the light of the moon reflected in the snow of the slopes, which were being groomed by the piste bashers. At 7:00 pm everything was ready inside for the yoga, mats on the floor, a bottle of water for each participant and towel to cover ourselves in case of cold, and a few candles to create a warm atmosphere. We had a few minutes to get change and take a seat before the class started at 7:15 p.m. 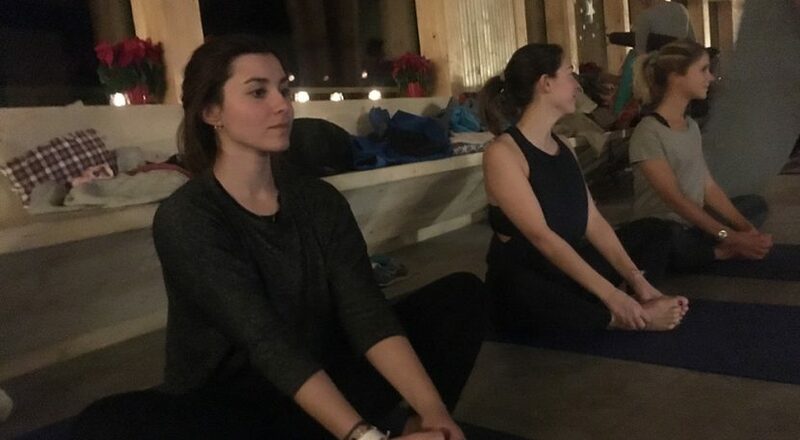 The lesson was based on Vinyasa Flow Yoga in which the teacher focused on stretching especially the legs since it is the part of the body that we use the most in both skiing and snowboarding. To end the lesson we had a few minutes of relaxation and meditation to clear the mind. After the class in the opposite side of the restaurant, everything was ready for the tasting dinner and we sat one by one as the hunger was already calling because although it may not seem yoga is an exercise like any other. The tasty dinner was the best to recover strength, and that is that it consisted of 10 different dishes !!! Plus dessert and drinks included all with an amazing view of the mountains of Pal Arinsal at night. 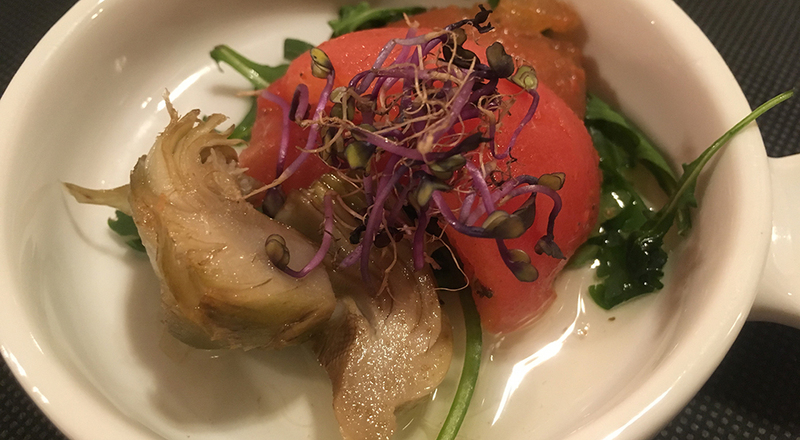 We started with a tuna pate, followed by some artichokes with tomato confit. The salad tasting included Caesar and quinoa salad. The hot touch was a zucchini soup. 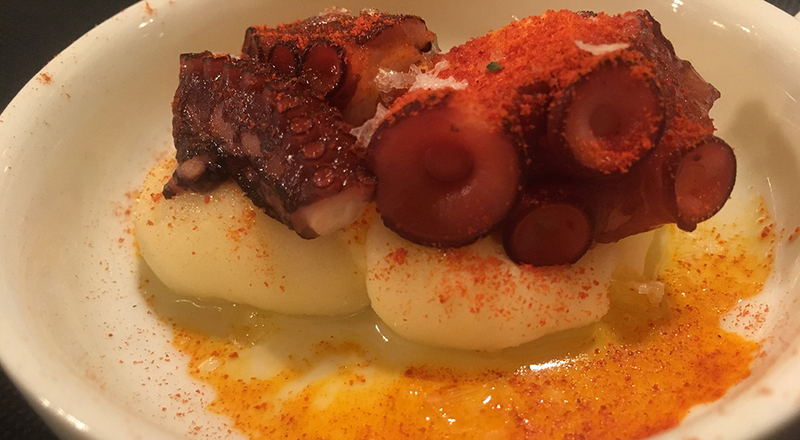 The touch of the sea was served by a breaded prawn pintxo and a Galician octopus tapa with mashed potatoes. To end with the starters a cheese coated with cranberry sauce! When we thought that the dishes were finished, which were small but enough to fill our stomachs, the main dish arrived: a steak covered by mushroom sauce! And finally, tasting desserts, tiramisu and lemon mousse, and an infusion to digest the uncountable dishes. The evening did not end until 11.00pm, after the intense day we decided to return home, stopping for a minute to contemplate the beauty of the mountains at night. Without a doubt, it was a very special night.